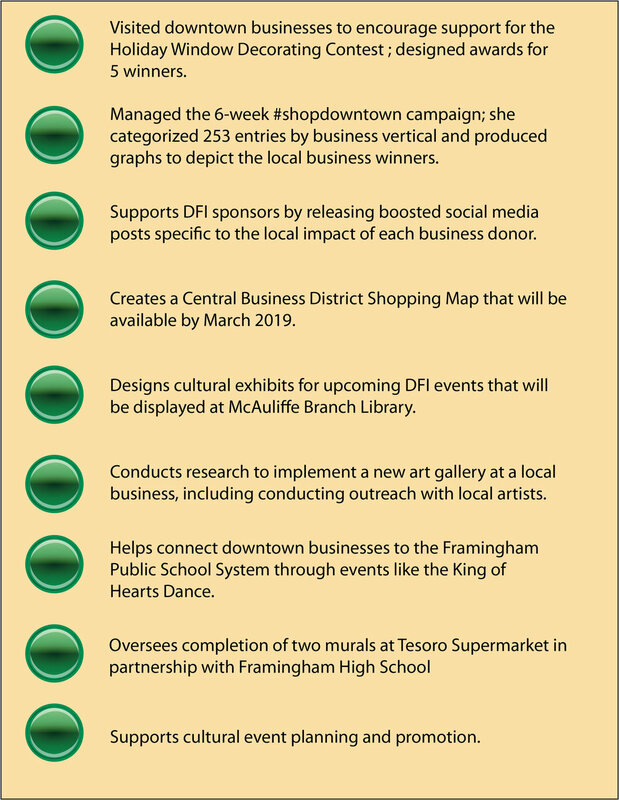 In December 2018, Downtown Framingham, Inc. was awarded a $10,000 capacity building grant from the Foundation for MetroWest to support a part-time Cultural Projects Manager. 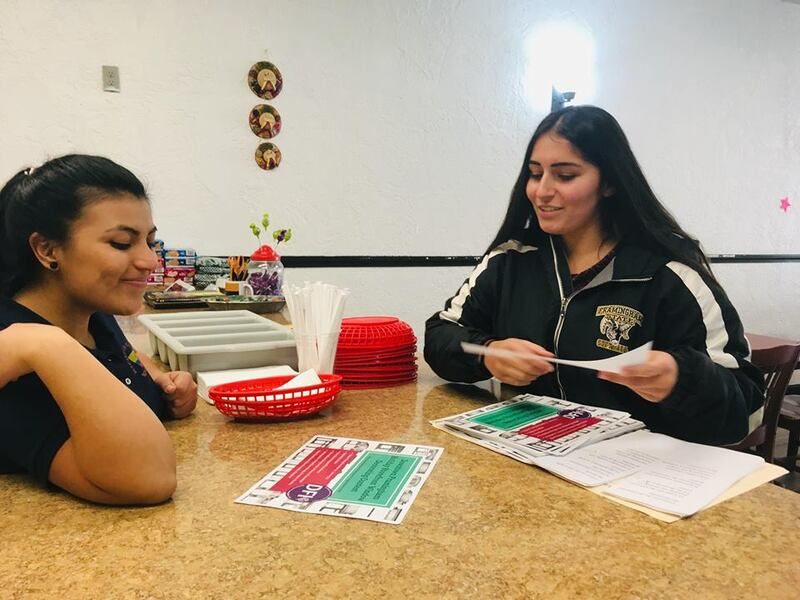 DFI quickly brought on Kelsi Gunarathne, who recently completed an unpaid internship with DFI in December 2018. On December 10, Courtney Thraen, Executive Director of Downtown Framingham, Inc., accepted the award at the Foundation for MetroWest Gala. Kelsi visted Golden Circle to encourage donation of a silent auction item for the King of Hearts Dance. Kelsi graduates from Framingham State University (FSU) this May with a Bachelor of Arts degree in economics with a minor in business. Kelsi continues to intern with the MetroWest Economic Research Center at FSU, where she focuses on research, analysis, and data pertaining to statewide unemployment. In her spare time, Kelsi is captain of the Framingham State Varsity Softball team. DFI is very grateful to have Kelsi as an official staff member, and her enthusiasm for supporting the organization has been an incredible morale boost! Kelsi continues to contribute heavily to DFI!